We offer ranthambore wildlife tours, delhi agra jaipur ranthambore tours to see wild games and photography in ranthambore national park and heritage golden triangle travel to delhi jaipur agra. 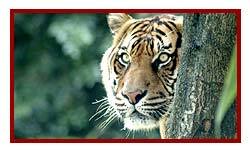 8 days golden triangle & ranthambore is famour tourist circuit of north india visitors. It attracts and charm of delhi agra & jaipur heritage and traditional living with breath taking monument in 3 cities along with finest managed ranthambore wildlife reserves to enjoy 2 -3 days in nature with wild games and safari in ranthambore. Ranthambore is gradually becoming paradise for photgrpahy as well and has highest population density of tigers in park. This tour can be customized according to days, choice of hotels, destinations and theme and if you want more can add bharatpur bird sanctuary or varanasi or khajuraho to make this tours real gem of the itinerary. Just fill the form given below for FREE OF COST tour options along with best discounted pricing for golden triangle & ranthambore tours. Golden triangle & ranthambore wildlife tours representative will be there to greet you at the international airport / railway station from where you will be escorted to your pre booked hotel in Delhi. Overnight stay at the hotel. Spend the entire day within the Ranthambore Tiger Reserve. Go for game viewing and have fun spotting the tigers and other wild animals in their natural habitat. Machhli was the most celebrated tigress of the ranthambore wildlife park. Machhli's grand child "Arrow Head" is now ruling the convated lake area in Ranthambore national park. This 3 years old tigress has been spotted regularly. Overnight stay at the hotel. Early in the morning enjoy a last safari within the Ranthambore wildlife Reserve to explore the rich flora and fauna. After lunch and check out from the hotel, drive out towards Jaipur. A rrive at the hotel and check in. In the evening, explore the busy markets of Jaipur. Overnight stay at the hotel. After an early breakfast, enjoy a full day sightseeing tour of Jaipur. Visit the prime tourist attractions of Jaipur such as the City Palace, Museum, Hawa Mahal ( Palace of Winds ), Jantar Mantar, Ramniwas Bagh and the modern Birla Planetarium. 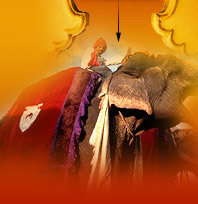 Enjoy an elephant ride up to the famous17th century Amer Fort. Also visit the majestic Jaigarh Fort and Nahargarh Fort. Overnight stay will be at the hotel in Jaipur. After an early breakfast check out from the hotel, set out for a exciting road trip to Agra in private A/C Cab. Enroute, visit Fatehpur Sikri, a the historical town built by Akbar where you can see the famous Bulund Darwaza, the largest gateway in the world; Jama Masjid and the tomb of famous Sufi saint Shaikh Salim Chisti. Upon arrival at Agra after check in and lunch at the hotel followed by a sightseeing tour of Agra where by you will get to see the best of Mughal architecture such as the Taj Mahal, Agra Fort and Itmad-Ud-Daulah's Tomb. Overnight stay at the hotel. Early morning take guided sightseeing tours to wonder of world The Taj mahal during sunrise. After breakfast, drive back to Delhi. Enroute visit the Akbar's Tomb at Sikandra. Arrival at hotel and lunch. The evening is reserved for last minute shopping at some of the best shopping zones of the capital. Overnight stay will be at the hotel in Delhi. After an early breakfast, you will be transferred to the international airport to board a flight for your onward destination or pre planned destinations with sweet memory of The taj mahal & tiger reserve of Ranthambore in Rajasthan.